Eric the Red Guesthouse is a lovely guesthouse in Reykjavik; bed and breakfast. We are a home away from home with focus on personal atmosphere and service as well as reasonable pricing. We have a delicious breakfast buffet, free Internet Access and Wi-Fi, and we also offer tours with the hosts. 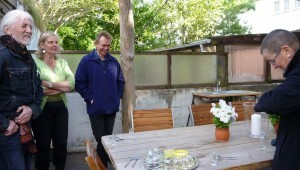 We are always ready to assist guests in anyway we can, whether it is about their stay in Reykjavik or Iceland. We do live in the house so you will get the most personal service and information you can hope for. For best price book with us directly to avoid booking fee charges by emailing us at eric@eric.is – we will get back to you shortly. Our Cat, Raggi, also lives with us. He is a lot outside but sometimes inside. A lot of our guests love to have a cat in the house however if you have allergy or simply don’t like cats we rather recommend you to stay at Eric the Red Apartments. 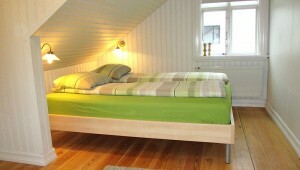 Eric the Red Apartments are based in a romantic in an old romantic classical Icelandic house with corrugated iron. 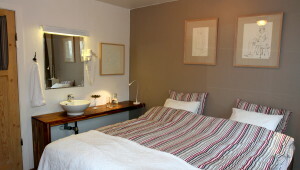 We have three apartments that accommodate up to 5 people. They are self-catering and perfect for friends and families travelling together. The house is only about 5-7 minutes walk from the city center at a quiet and lovely street and only about 8 minutes away from BSI Reykjavik Bus Terminal. Eric the Red Guesthouse is based in central Reykjavik on Eiriksgata 6, only 100 meters from Hallgrímskirkja Church and 7 minutes walk to the main shopping street Laugavegur. Lake Tjörnin is 1 km away and the BSI Reykjavík Bus Terminal is within an 8 minutes walk. A variety of restaurants, coffeehouses and shops are found in area surrounding the guesthouse. If you like to stay in the center of the city yet not directly on the main street where there can be quite noisy you are at the right place. Eric the Red Guesthouse has been in operation since the 1990s and is a family run guesthouse. Please note that as we are a B&B we don’t come int the room for cleaning unless you stay with us for several days- Therefore we can also keep our prices lower. Note that Eric the Red is a non-smoking guesthouse.